I finally found one! Now sitting on my shelf is a beautiful Drake TR-7A, serial number 12195, and I am in love. Welcome to the family! My new Drake TR-7A – already a beloved part of my shack. 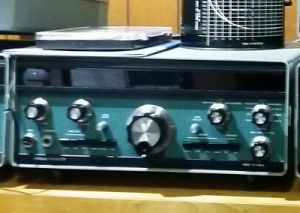 When I was conducting research for my initial HF radio purchase, I had narrowed down to the Heathkit SB-104A rather quickly. It is a beautiful radio itself. However, as I was researching it I found that the principal designer for it, Mike Elliot, went on to work for R. L. Drake and to design their TR-7. What I read was that the Drake TR-7 was what Mike Elliot had wanted the SB-104 to be. SB-104A – is Mike Elliot’s prototype Drake TR-7A? I couldn’t afford a Drake TR-7 at the time, nor were there any good options to buy a decent one anyway. And, honestly, I was content to go with the Heathkit. After all, one of my major purchase considerations was to get a radio I could tinker with. In fact I wanted to get a radio that was basically going to force me to tinker and learn (without going so far as to buy myself a problem). The SB-104A that I purchased was affordable, was (and is) itself a fantastic radio, and has given me ample opportunity to tinker and upgrade it. But I’ve always had in my head this thought: if I love my Heathkit, and the Drake TR-7 was what its designer had wanted that Heathkit to be, then what kind of radio is the TR-7? I will be finding out! A special thanks to Gary Follet, W0DVN (known also as “dukeshifi”) who sold me the radio. An excellent person to do business with. 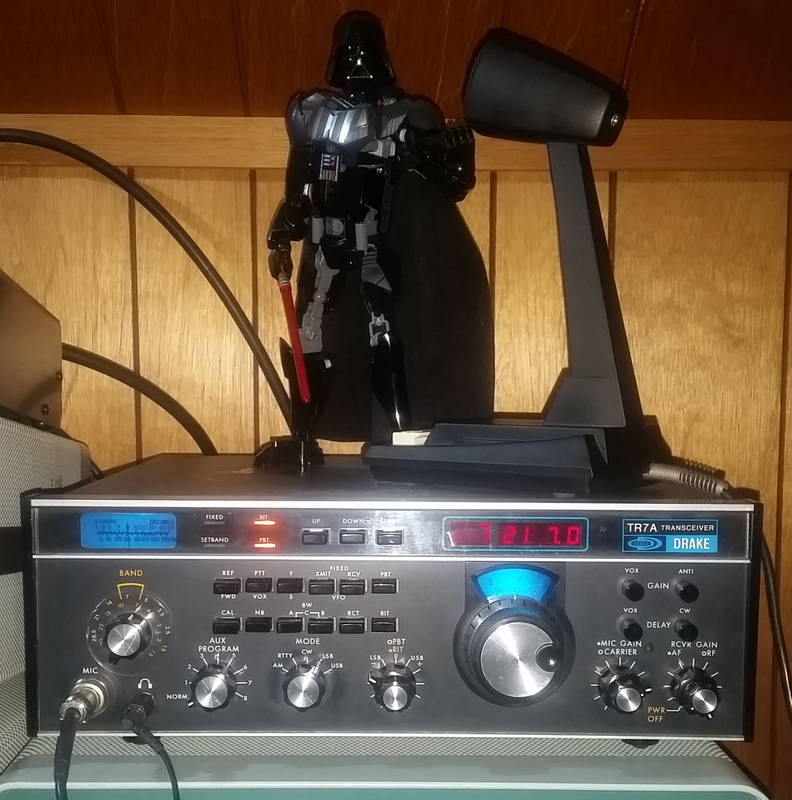 This entry was posted in HF Eqipment, VA1DER's Shack. Bookmark the permalink.